Buy now for less. Save when shopping at Unbeatable Sale, part of our Partner Network. 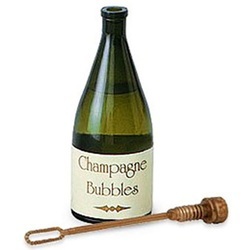 Club Wedd 24 Count Champagne Bubbles Party Favors. These champagne bubbles feature a miniature version of a champagne bottle in olive green, ivory and gold. 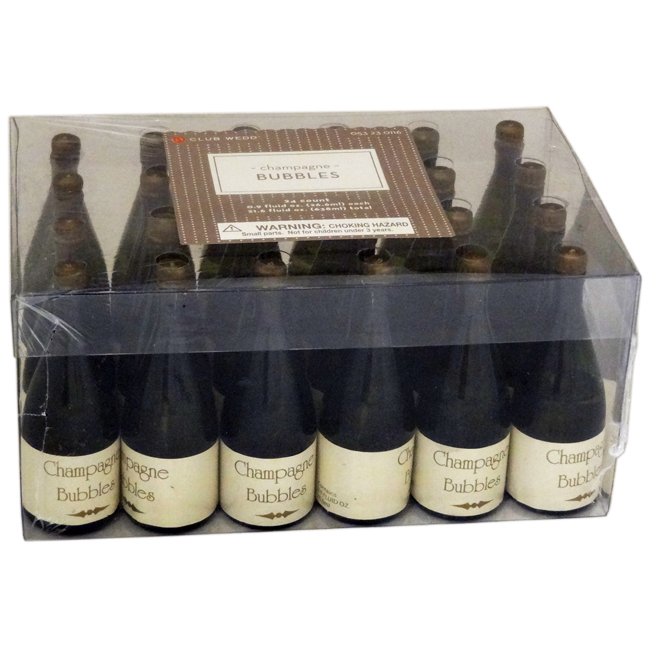 Each champagne bubble bottle measures approximately 3 inches tall and contains 0.9 fluid ounces of solution and is sold in packages of 24. Use these Champagne Bubbles as favors for a wedding, engagement party, milestone birthday or as a New Years party favor for each of your guests. Case pack: 6 – 24 count box.